Solar energy has been a popular method of producing electricity for many years, but recently the technology has really come into its own. So what makes this technology superior to other methods of producing electricity? There is a myriad of reasons that solar energy is a great alternative to traditional choices for electricity production, and it could be argued that it’s currently the most effective means of alternative energy generation. 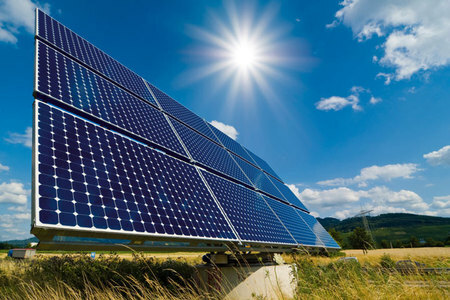 Let’s take a look at what makes solar power such a uniquely beneficial power generation method. Perhaps the primary benefit of solar power is that it’s safe for the environment. Solar power doesn’t produce greenhouse gasses the way that traditional methods of electricity production such as coal, oil, and gas do. Without any harmful byproducts, solar power produces the energy we need while keeping Earth safe from harm. Beyond installation and maintenance solar energy is entirely free. This is obviously a huge boon for homeowners and businesses that choose to utilize solar energy and earns them significant savings on electricity costs in the future. Solar panels also don’t require continuously replenished raw materials to operate. This important distinction sets them apart from other energy sources such as coal and oil. By decentralizing the electrical grid, solar energy is giving power (no pun intended) back to communities. The days of massive electricity-producing companies are drawing to an end, as consumers slowly become producers. Many homes and businesses that have installed solar panels even sell some of their excess energy back to the grid for a profit. Solar creates jobs in a variety of ways. As an emerging industry, solar needs all sorts of jobs, from manufacturing, installing, monitoring and maintaining panels, to the scientists and businesspeople who research and develop the technology. Currently, solar energy only accounts for 4% of the world’s electricity, yet the EIAA estimates that it has created more than 100,000 jobs in Europe alone. Whereas most utilities currently rely on a constant source of highly volatile commodities, solar only relies on one abundant commodity: the sun. While the price of fossil fuels continues to rise, solar energy production’s costs have actually been halved in the past decade. This allows solar to provide sustained stability to homes and businesses that utilize the power of the sun to generate their electricity. This is just the tip of the iceberg when it comes to the importance of solar power to the future. More and more homes and businesses will continue to adopt solar power and take advantage of its benefits in years to come. Solar power’s environmentally friendly nature and cost benefits will make it a staple of future energy production. Get involved with this up and coming energy production today. Invest with CollectiveSun and you invest in the future of energy, and the future of your community.